Prior to now, there were two ways of getting solar power in your home. You could either buy the solar panels outright, or you could sort of “rent” them from a solar provider and pay for the power they produce in what’s called a Power Purchase Agreement (PPA). Each method has it’s benefits. Buying solar panels outright has higher upfront costs, but also offers a higher return on investment since the money you save over time eventually outgrows the initial cost of the panels. Conversely, PPAs have little to no upfront costs, as the company will install and maintain the solar panels for you, but you’ll never actually own them, and will continue paying for the power they produce indefinitely. 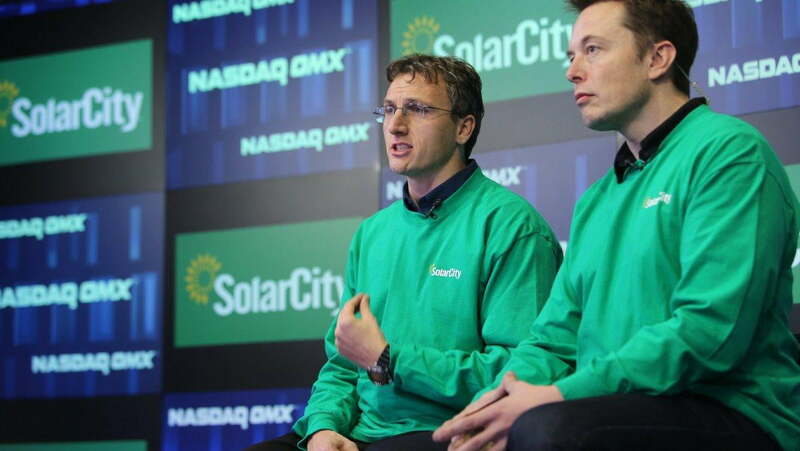 In a nutshell, SolarCity’s new payment plan offers the best of both worlds. With MyPower, customers take out a 30-year loan on a solar power system at 4.5% interest. SolarCity then installs and maintains the system at no cost to the customer. Once the system is up and running, the customer pays for the power it produces, similar to a PPA — but in this case the payments also pay off the loan. After 30 years, you own the solar panels, and the power they produce is free. It’s a bit more complicated than that, but from a broad perspective that’s basically the gist of it. You get the low upfront costs of a loan, but with the structure of a PPA, so you only pay for the power the system produces, and therefore don’t lose money if the system underperforms. That being said, however, whether or not this payment plan is a good option for you still largely depends on where you live. The average cost of power from the grid is about 13 cents per kilowatt hour, but it varies widely from region to region. Some locations it can cost as little as 9 cents, but it can be as high as 20 in others. This cost also increases from around 4 to 6 percent each year. With MyPower, customers pay 16 cents for every kilowatt hour they use in the first year. After this first year, most people living in the US can get a 30 percent federal tax credit, which effectively drives down the price to somewhere in the range of 12 cents per kilowatt hour. Additionally, the year-over-year price increase is only 2.9 percent instead of the average 4-6. Therefore, if you live in a place where power is cheaper than 16 cents per kilowatt hour, you’d likely end up paying more for power in the first year or two, but then start saving over time. Conversely, if you live in a spot where power prices are higher than 16 cents per kilowatt hour, you’d experience savings right away. To start, SolarCity will offer MyPower to customers in Arizona, California, Colorado, Connecticut, Hawaii, Massachusetts, New York, and New Jersey, but does state on its website that it has plans to expand into other areas in the very near future.